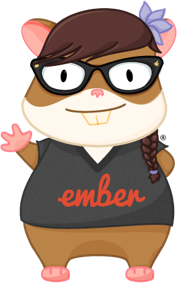 A new year means a new Ember release, 2.11.0, and surprise, a new issue! For several different reasons, our first attempt at this didn't quite work, but we're not ready to give up just yet. We will continue experimenting with formats until we hit on something that is both sustainable and interesting to you all. Let's get this train running. We would like to start off by thanking our contributors and users. Our vibrant community is a big part of what makes Ember thrive. Our contributor base keeps growing by the week, and we are actively working on improving the developer experience when using Ember but also when developing Ember itself. A lot of things have been happening in the Ember ecosystem, and you can read about some of them in the 2.11 release post. Let's talk instead about some of the projects that are planned to be improved by EmberConf! As part of the effort to improve developer experience, work as started on ember-language-server. ELS is a code analyser for Ember CLI projects that implements the language server protocol to provide IDE functionality like auto-complete or go to reference. This means that ELS is independent of editor, and can be integrated with any tool that has a language server protocol client. Some of you might have come across Ember Watch before and noticed that some of the content isn't quite up to date. Peek at the issues in the repository, or join #topic-emberwatch to participate! The much appreciated and useful Ember Twiddle also has a makeover on the way! If you want to help the Twiddle team out with the redesign or on getting the issue count lower, come on by #-ember-twiddle!